Save the Dates for the RNG industry’s premier public policy and education conference in the U.S., hosted by the Coalition for Renewable Natural Gas and held in beautiful Dana Point, CA at the newly renovated Monarch Beach Resort. 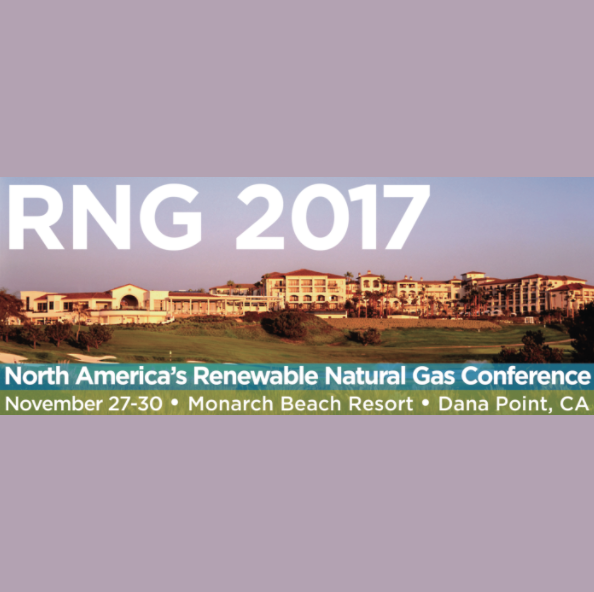 RNG Coalition members and non-members are invited to attend this year’s RNG 2017 Conference – the premier policy, market and networking event hosted by and for the North American renewable natural gas industry! This year the renewable natural gas industry’s annual conference will be held at the Monarch Beach Resort in Dana Point – the crown jewel of Southern California’s Orange County. For photos of the resort, please click HERE. For videos and live webcams, please click HERE and HERE. In addition to relocating RNG 2017 to a new and improved 5 Star / 5 Diamond venue that can accommodate projected growth in membership and attendance, the RNG 2017 program has been extended by one full-day. Negotiated conference room rates expired on October 28. You may still book any available rooms at the resort’s regular rate by contacting Monarch Beach Resort ASAP as rooms are limited and available only on a first-come, first-serve basis. The RNG 2017 program will appeal to executive representatives from each industry sector interested in renewable natural gas (RNG) for purposes of achieving corporate sustainability objectives, complying with federal, state and provincial policy requirements, for purposes of competing in relevant markets and maximizing related revenue, and for purposes of helping realize increased energy independence, and access to domestic, renewable, clean fuel and energy supply. For more information, please visit RNG Coalition’s website.